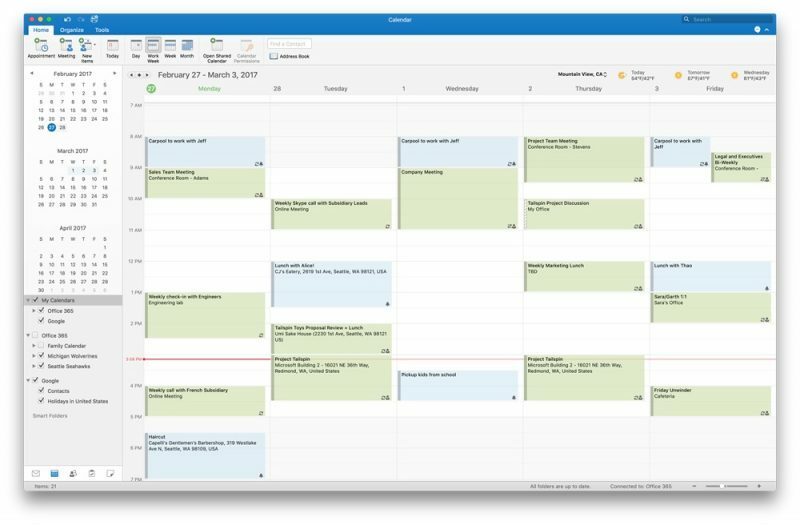 Microsoft has begun inviting Mac users to try its new Google Calendar and Contacts support in Outlook 2016 by downloading and installing the application from its preview site. Previously only available to Microsoft's Office Insider Fast Community, the new updates support all the core actions and enable anyone to add, delete, and edit events in a Google Calendar through Outlook for Mac. All changes update between the desktop software and Gmail or Outlook for iOS, ensuring everything is synced across devices. Anyone who wants to try Outlook for Mac with their Google Account and test drive the new updates should visit the Microsoft preview website and click the Download button. This will install the latest preview version of Outlook 2016 for Mac, which can be used until June 30, 2017. Outlook users signed up to Office 365 who want to test the features need to join the Insider Fast community, by opening Outlook, clicking Help > Check for Updates, and following these directions.